Hamas paid the family of baby $2,200 to say she died in clashes with Israeli forces, Gaza infiltrator's testimony reveals. Hamas paid the family of an 8-month-old baby to say she died during clashes between Arab rioters and Israeli troops, a family member said. Omar testified that Hamas paid his aunt Mariam and her husband Anwar 8,000 shekels, or about $2,200 to say their daughter died from exposure to tear gas at the border riots. 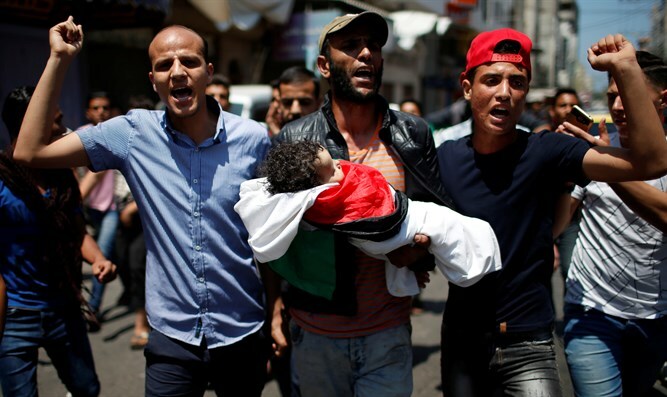 The baby's death inflamed passions and led to a deluge of condemnation against Israel for its response to the border riots. At least 120 Arab operatives, including dozens of members of local terror groups, have been killed during the more than two months of rioting, according to Gaza officials. In mid-May, the Gaza Health Ministry removed Layla from the list of those killed during border clashes between Arabs and Israeli troops.